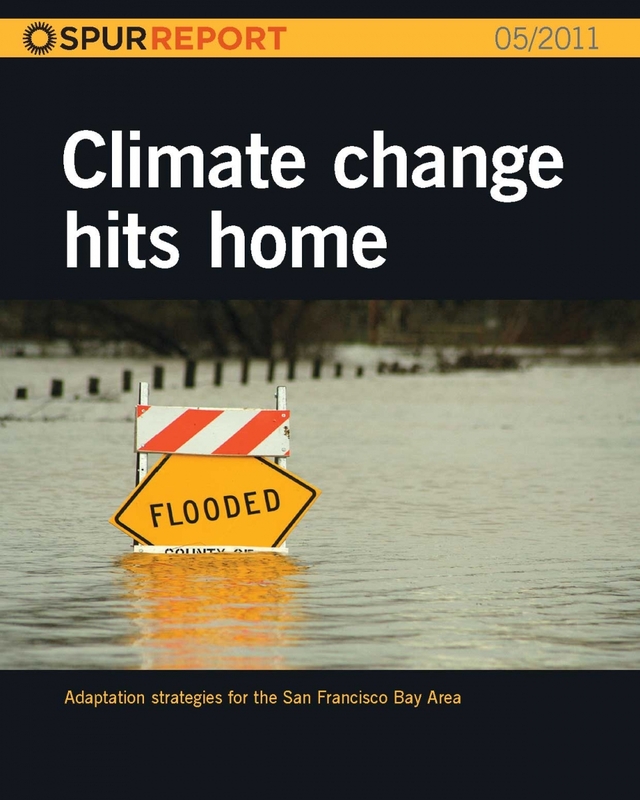 In the fight against climate change, the Bay Area has two important responsibilities. We must reduce our carbon emissions through better regional planning, and we must prepare for some inevitable environmental change. SPUR's research and recommendations are laying the groundwork for how local governments can plan for both of these challenges. This initiative is generously supported by grants from the Urban Land Institute and San Francisco Foundation. Global efforts to slow climate change by reducing greenhouse-gas emissions have largely failed. As a result we must not only intensify our efforts to reduce climate change but start preparing for its inevitable effects. In this report, SPUR recommends more than 30 strategies for local and regional agencies to begin minimizing the region’s vulnerabilities to these long-term but potentially catastrophic effects. More than two-thirds of the Bay Area’s water is imported from outside the region. Today these supplies are regularly threatened by drought, earthquakes and water quality impairments — risks that will intensify with climate change. Meanwhile, our region will add 2 million more people by 2040 — growth that will require more water. Do we have the water we need to support this projected growth? As climate-induced sea level rise sets in, erosion at San Francisco's Ocean Beach will continue to worsen. 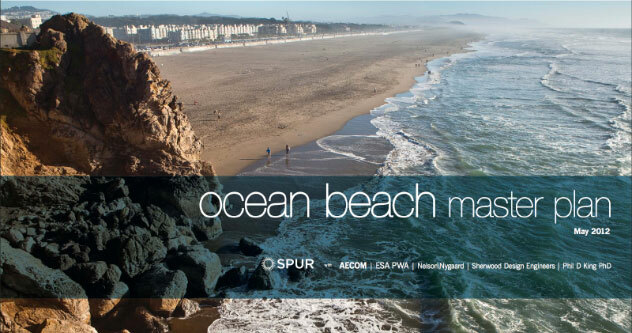 Working with government agencies, community groups and the public, SPUR has developed a landmark climate adaptation and open space plan for Ocean Beach. 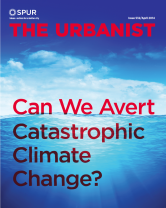 Can we act decisively enough to avert catastrophic climate change? Climate change is not just a problem of the distant future — it's happening now. Our task, then, is contradictory: We need to fight it even as we to learn to live with it. But can we act decisively enough to avert catastrophe? How will we adapt to changing tides? In the fight against global warming, there are many things San Francisco can do. 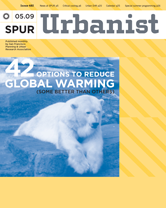 In this report, SPUR evaluated 42 options for the city to reduce carbon emissions in San Francisco and the Bay Area. Climate change is here today, and after the devastating fires of 2017 and 2018, Californians know it. 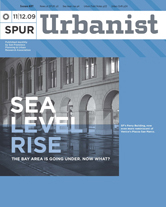 In 2019, SPUR will be working on a new policy report on the multiple hazards wrought by climate change, including fires and flooding. We now know that land use, planning, building code, forest management and other recommendations may be needed to improve fire resiliency across the Bay Area. Among the most inspiring outcomes of the Global Climate Action Summit, hosted in San Francisco earlier this month, were the climate commitments made by governments and organizations around the world. Bay Area cities and agencies announced ambitious new goals that will wean the region off of natural gas and diesel and make way for a carbon-free future. The Bay Area Air Quality Management District has adopted a major new climate action strategy that will move the region closer to attaining its goals for cleaner air and reduced carbon emissions. SPUR strongly supports this bold vision for a post-carbon economy by 2050. Located on San Francisco’s eastern waterfront, Mission Creek is one of the city’s lowest lying areas. That means it's potentially vulnerable to storm surges, flooding and future sea level rise. This study considers different design concepts for how to “hold the line” on sea level rise at Mission Creek and weighs the pros and cons of each. Silicon Valley’s historically reliable water supply has been essential to its growth. But the last four years of severe drought have revealed the region’s dependence on statewide water availability. Local leaders see sustained conservation and water recycling as the best solution. 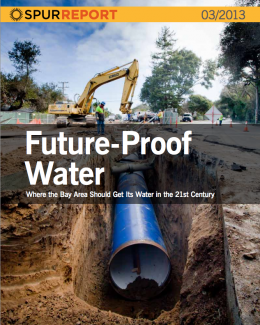 To assist these efforts, this paper updates the South Bay data in our 2013 report Future-Proof Water and highlights areas for research and partnerships.